THE Philippine Olympic Committee (POC) made it clear the court-mandated February 23 election is not cast in stone, saying it will be up to the general assembly on whether to push through with it or not. POC spokesperson Rep. Prospero Pichay made the clarification on Wednesday, a week after a notice was released by the Olympic body for an election to be held at the Wack Wack Golf and Country Club. The notice of election was an offshoot of a decision by the Pasig Regional Trial Court nullifying the election of Peping Cojuangco and Tom Carrasco as president and chairman, respectively, and ordering a new poll where boxing chief Ricky Vargas and Rep. Abraham Tolentino will be allowed to run. The International Olympic Committee (IOC) also recently issued a letter with regards to the POC situation, ordering the POC to hold an extraordinary general assembly to settle the issue. 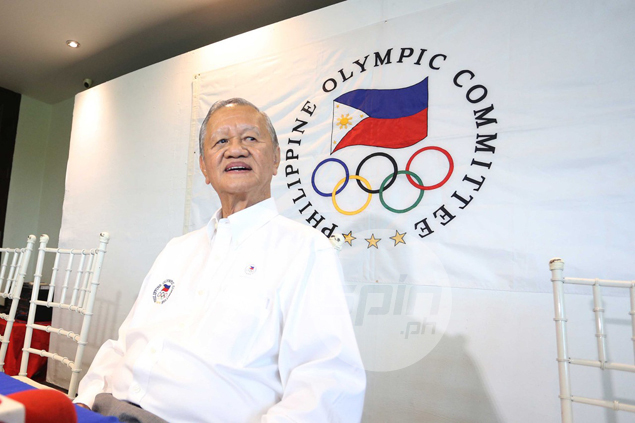 Pichay said the country's highest Olympic body will follow the IOC order to settle the matter internally before the general assembly decides whether to call an election or not. “I’m not saying that there would definitely be an election on the 23rd. There’s nothing in the IOC letter saying that we should call for an election. The IOC just said to talk it among ourselves in the GA and decide if we will call for an election or not,” Pichay said. Pichay said the notice of election on February 23 was only a ‘matter of compliance’ to the court order to avoid being cited for contempt. “We set an election on the 23rd as a matter of compliance. While we adhere to the word and order of the IOC, we also don’t want to risk the possibility of being cited for contempt,” Pichay said. Pichay also expressed concern over a possible suspension from the IOC due to the intervention of the court in POC matters. “We are not concerned about the numbers. We’re concerned about the IOC suspension. We are guided by the IOC letter that we should talk it among themselves. That’s our guiding principle. When things go wrong, always bring it to the GA,” said Pichay. Pichay insisted the POC general assembly should have the final say on an election. “Remember that the court is not in the position to order an election. This is sports. This is a private institution. The IOC is our supreme authority. Between the judge and Frank Elizalde who has more than 35 years of experience in the IOC, I think Mr. Elizalde is in a perfect position to know who is eligible to run and who is not,” said Pichay. The POC executive board will discuss the contentious issue on Thursday before the IOC-ordered general assembly takes place on February 19, according to Pichay. “We will discuss everything in the execom. We’ll surely show up ready for the GA on the 19th,” said Pichay.